We are your #1 choice for Hauling and Junk Removal in Virginia, Maryland and Washington, DC. Compare our Rates with other Junk Removal and Hauling Services! WE CAN HELP YOU! CALL US NOW AT 703-444-5865 AND GET OUR DISCOUNT RATES! 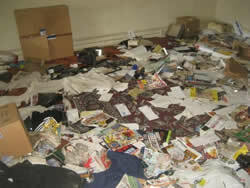 We remove unwanted items and JUNK from homes, offices and commercial business locations. 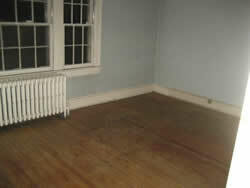 We remove old furniture, appliances, electronics, yard waste and home remodeling debris. We Load and Clean Up wherever the items are located. We aim to separate all reusable items to recycle and donate to charities. Service Bank Owned Properties (RE0) TRASH OUTS!!! OFFERING REO TRASH OUTS BOTH RESIDENTIAL AND COMMERCIAL PROPERTY. WE OFFER FAST RELIABLE SERVICE WHICH INCLUDES WRITTEN QUOTES WITHIN 48 HOURS. IF YOU ARE LOOKING FOR A COMPANY WHO CAN HANDLE YOUR TRASH OUT NEEDS AND CAN HAVE YOUR PROPERTY READY FOR MARKET QUICKER THAN MOST, CALL US OR E-MAIL US TODAY FOR A FREE QUOTE. WE HANDLE MANY TRASH OUT AND TAKE BEFORE AND AFTER PHOTOS SAVING YOU TIME FROM HAVING TO TRIPS TO THE PROPERTY SO YOU CAN FOCUS ON THINGS THAT MATTER LIKE GETTING MORE LISTINGS AND WORKING WITH BUYERS. Try us once and we believe you will be a customer for life! To become Northern Virginia leading junk removal and trash out service company; while incorporating value, reliability and professionalism for our commercial and residential customers. We have the strongest interest in your level of satisfaction with our junk removal service." We can make a difference! We can help remove the junk from your house or business! Don't let that junk overwhelm you! We will do all the work for you! We are proud to let you know that our Junk Removal and Hauling rates are the best in Northern Virginia, Maryland and Washington, DC. EASY, AFFORDABLE JUNK REMOVAL AND HAULING SERVICES IN VIRGINIA, MARYLAND AND WASHINGTON, DC! WE CAN HELP! DON'T WAIT, CALL RIGHT NOW AT 703-444-5865 TO GET OUR DISCOUNT PRICES! WE PROMISE PROMPT SERVICE! WE ARE A LICENSED AND INSURED JUNK REMOVAL AND HAULING FIRM IN VIRGINIA, MARYLAND AND WASHINGTON, DC. CLICK HERE TO SCHEDULE OUR JUNK REMOVAL AND HAULING SERVICES. WE HAVE THE BEST RATES! WE ARE JUST A PHONE CALL AWAY SO CALL US NOW AT 703-444-5865. NO JUNK REMOVAL OR HAULING JOB IS TOO BIG OR SMALL FOR US! WE ARE LICENSED AND INSURED! Junk Removal and Hauling Services in Virginia—Loudoun (Ashburn, Sterling, Leesburg, Purcellville), Fairfax (Chantilly, Herndon, Reston), Prince William (Lorton, Potamac Mills, Dale City), Arlington, Falls Church, Tysons Corner and Alexandria counties. COMPARE OUR RATES WITH OTHER JUNK REMOVAL FIRMS IN VIRGINIA, MARYLAND AND WASHINGTON, DC. ! WE HAVE THE BEST DEALS FOR HAULING AND JUNK REMOVAL IN YOUR AREA!